Want the Midas touch? 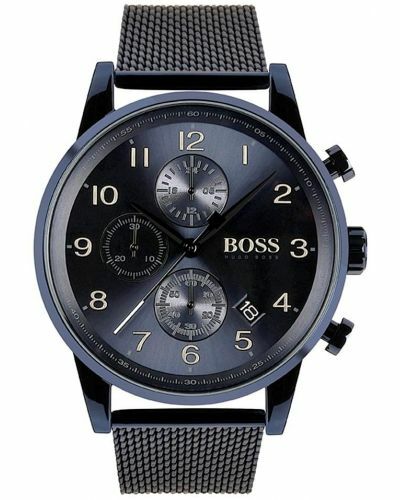 Then look no further than the new Hugo Boss men's Navigator watch. This stunning chronograph watch features a striking 44mm gold plated case and bezel, showcasing the alluring black dial and complimentary gold arabic numbers and dauphine hands. A small but clear date display is located alongside the chronograph sub-dials and 24 hour clock. Set upon a suave gold plated stainless steel link bracelet and fastened by a secure fold over clasp; the Navigator watch is classic and yet sporty in its aesthetic. Protected by mineral glass, the Navigator watch is water resistant up to 50 meters and is powered by a Quartz movement. 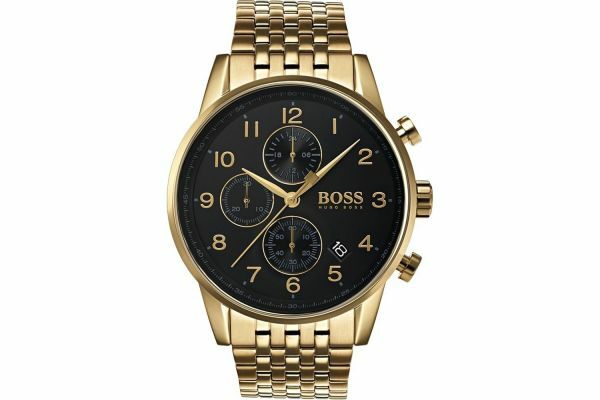 Complete with a two year guarantee and official Hugo Boss packaging. For us to size your new Hugo Boss Navigator watch as accurately as possible, please take a look at our downloadable Watch Sizing Guide.